When Noah was 11 months old, he was diagnosed with a tumor in the ventricles of his brain. What followed was a year-long battle, including two major brain surgeries. We reached out for help, and got so much love and support. Words can never express the gratitude we feel for having Noah with us. We just celebrated his 5th birthday. He is funny and kind, and he puts a smile on anyone’s face who comes across his way. While Noah recovered and caught up in most of his development, he has lingering issues that require physical therapy. We are trying to raise $6000 for a three-week therapy course in October, 2016, at the Intensive Physical Therapy Institute in Utah. We plan to cover all travel and other expenses. Our insurance refuses to pay for Noah's physical therapy. And this summer we spent several thousand dollars out of pocket paying for his therapy, which quickly added up. We would appreciate your support very much. While Noah recovered and caught up in most of his development, because of the trauma to his brain from the surgeries and the pressure on his brain leading up to his diagnosis, he didn’t start walking or talking until he was 2 1/2 years old. We were living in Utah at the time, and every specialist we consulted with couldn’t predict when he would begin to walk or talk. Traditional physical therapy wasn’t helping. Just when I was at my lowest point, disheartened about being unable to help him, we experienced a miracle. I found the Intensive Physical Therapy Institute. After assessing Noah, they told us he would walk very quickly with their approach. We were hopeful, yet skeptical. They helped Noah begin walking on his very first day there! It was unbelievable. Their approach was not only very comprehensive, but revolutionary. Noah completed two three-week courses with them, and both times his development soared; not only his gross motor development, but also his speech and intellectual functioning. They helped him learn to walk and run, which changed his life. When he was 2 1/2, he uttered his first words; six months later, they taught him to count to 10! 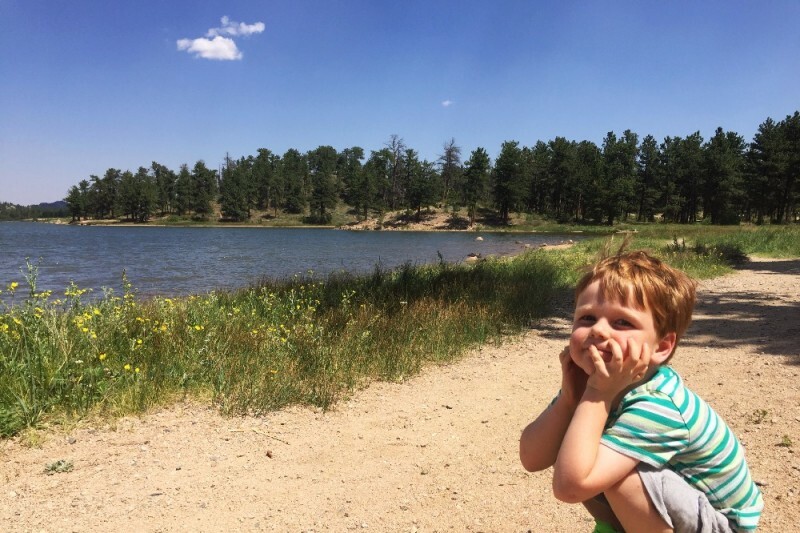 The summer of his second treatment at IPTI, our family moved to Denver. Noah has done remarkably well, but he has a lingering issue with weakness on the left side of his body, which affects his coordination. We’ve consulted with everyone we could think of in Denver, or anyone who was recommended by anyone. What we got was a lot of confusion about how to help him. Traditional therapy still doesn’t work. This summer we worked with two of the best local therapists using more innovative approaches. Noah definitely made some progress, but the left-side weakness still persists. He is such a fun and friendly little guy. It is sad to see him shy away from playing with other kids on the playground, for fear of losing balance and falling. Last week I took Noah back to Utah to IPTI for an assessment. I cried when I saw Muriel and Sergio’s dear faces—they feel like family to us now. As always, they grasped his needs so thoroughly and instantly. There was no confusion about how to help him, no guessing. They are just brilliant. It became very obvious that they are our best chance once again. I wish there was a place like that in every state, and so far there are just a couple in the whole country. It would be a three-week trip to another state, and Mike and I would need to take turns taking an unpaid leave from work, but we feel that we need to do it for Noah. In summary, we are scheduled to take Noah to IPTI in October, 2016. The problem, as I mentioned, is that our insurance doesn’t cover the physical therapy that can actually help Noah. Either their methods are too new, or they're out of network (or in this case, both). This summer we’ve spent thousands of dollars out of pocket to pay for his local physical therapy. It is sad that after we pay $1100 a month for our family’s health insurance, we are denied coverage for services that would be of real help, despite their proven track record. This three-week intensive treatment (at a discounted rate) will cost $6,000, and we are trying to raise that amount. We would greatly appreciate your help. Thank you so much for your donations and support of our little Noah and his therapy. Between gofundme and other donations, we have now reached our goal! We'll be forever grateful. Bless all of you for the kindness you showed us. I just learned about Mikes music being a guitar student ~always,then I read about Noah and the journey to help out. Omg I hope he’s still with us.. Your talent is immeasurable, I hope this little bit helps.